If you love barbecue, some of the best in the country can be found in the south. One of my favorites is the Memphis Barbecue Company and is a must do whenever I’m in the area. Despite it’s name, the Memphis Barbecue Company isn’t really in Memphis but is just south of it in Horn Lake, Mississippi. When we arrived on Wednesday night, the restaurant was crowded but we didn’t have to wait to get a seat. Our server was extremely friendly and quick to bring refills or anything else we needed. Make sure you arrive hungry because you need to start off with an appetizer, not just any appetizer, maybe the best one I’ve ever had, the cheese fritters. The fritters are a four cheese blend and come served on a honey-Dijon dressing. There are five fritters with an order so you might want two orders if you have a bigger group. These aren’t your typical chain restaurant fried cheese snack, these are loaded with cheese and extremely tasty. While I’m typically not a fan of dressings like honey-Dijon, it’s just the right amount to bring out the flavor…the combination really works. The menu has a pretty large variety for a barbecue restaurant but I can’t justify eating a cheeseburger at a barbecue joint. The last time I went to Memphis Barbecue, I had my nephew and son with me, both teenagers, so we opted for the grand champion platter. For $49.99 we got spare and baby back ribs, smoked sausage, pulled pork and chicken along with baked beans, coleslaw and fries. The boys got a kick of it being served on a garbage can lid. The smoked meat was delicious and the quantities were generous so we all got to try each of them. The boys aren’t as big of fans as barbecue as I am but they both loved it and are ready to go back next time we’re in the area. Hi there! We are John and Angela, a brother and sister blog team that shares family travel tips across the USA! Everything from traveling with the kids to taking a weekend getaway with our spouses! We also share travel hacks and tips and more! HAPPY Traveling! 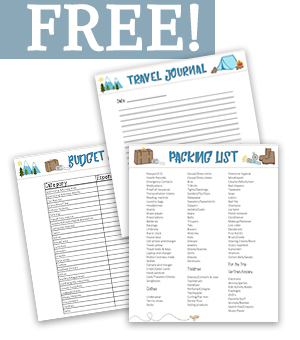 Our worksheets are designed to make traveling a little more organized and fun! Get this great resource free from On the Road with Family--just our little way of helping you get ready for your next family trip! On the Road with Family is a participant in the Amazon Services LLC Associates Program, an affiliate advertising program designed to provide a means for sites to earn advertising fees by advertising and linking to Amazon.com. Affiliate links may be used and commission may have been received in this post. Please note that On the Road with Family has financial relationships with certain merchants mentioned. While all attempts are made to present correct information, it may not be appropriate for your specific circumstances and information may become outdated. Copyright © 2017. All Rights Reserved.